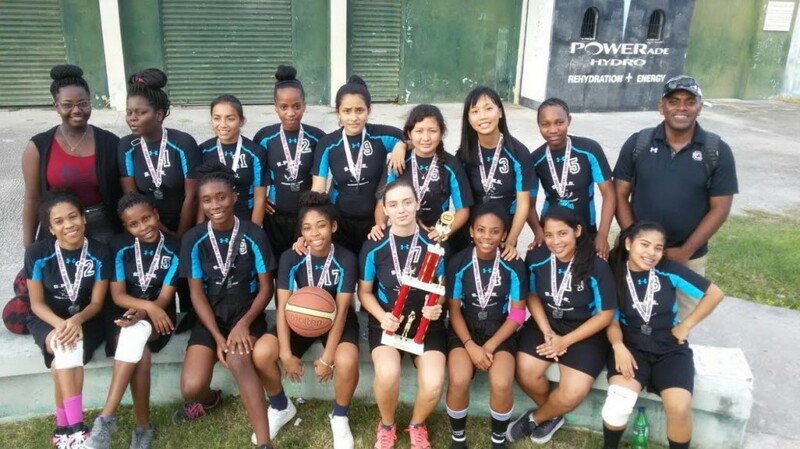 After claiming the victory at the National Secondary School Sports Association (NSSSA) Basketball Northern Regionals, the San Pedro High School (SPHS) female basketball team traveled to Corozal Town to participate in the national tournament. 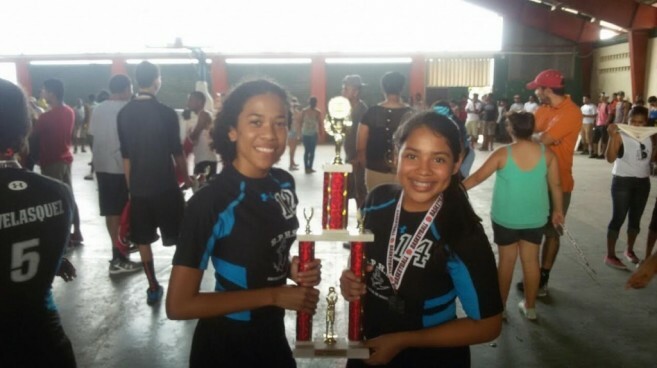 The NSSSA Basketball Nationals was held at the Corozal Complex in Corozal Town on Friday, December 11th and Saturday, December 12th. Four male and four female teams converged at the venue in hopes of taking the championship: North, Central, West and South. In the end it was the defending champions Saint Catherine’s Academy’s girls and Julian Cho Technical boys who claimed the top prize. But, the SPHS girls still managed to make an impressive mark, claiming the second place for the female championship. Representing the North was Muffles College’s male basketball team and SPHS’ female basketball team. Central was represented by the girls of Saint Catherine’s Academy (SCA) and the boys of Gwen Lizarraga. The West was represented by both the female and male basketball teams of Sacred Heart College (SHC), while the South was represented by the female basketball team of Delille Academy and the male team from Julian Cho Technical. All teams had high hopes on taking the top prize of the tournament. In order to advance to the championship games, competing teams had only one chance to earn a spot in the finals, as only the two winning teams in the first day of the competition would advance to the championship matches. In the first game, the SCA girls took the first victory of the tournament over the Delille Academy girls, while in the second game the Julian Cho boys defeated the Gwen Lizarraga male team. In the last set of games for the first day SHC boys lost to Muffles, and SPHS girls easily outscored the SHC girls in a 22-8 point game. During the second day, adrenaline pumped as the games got underway. The third place matches took the court first and Delille Academy defeated the SHC girls for the bronze. SHC boys walked all over Gwen Lizarraga. The championship games were next, and the SPHS girls faced a skilled SCA female team. According to SPHS’ coach, SPHS girls were overpowered by the girls of SCA, in whooping 34-4 point game. SCA took the coveted female championship once again, leaving the SPHS girls in an honorable second place and taking the silver award. The male championship match also saw an exciting game between Julian Cho Technical and Muffles College. It was expected that Muffles would have the advantage as the Julian Cho males came in third place in last year’s tournament. But in a shocker, Muffles succumbed to a hungry Julian Cho Technical, who claimed sweet victory and the championship title! Muffles had to settle for second place. The San Pedro community congratulates SPHS girls on their remarkable accomplishment, and they certainly make us all proud!